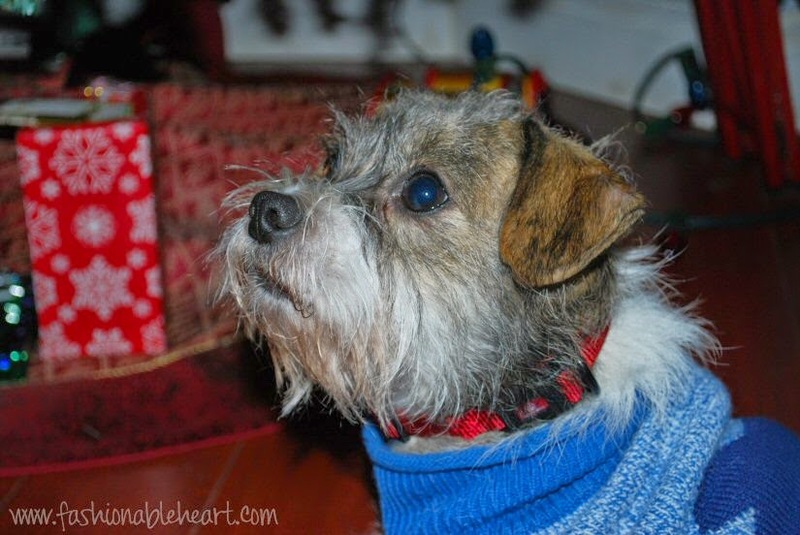 Fashionable Heart: Because even the dog should have Christmas spirit! Because even the dog should have Christmas spirit! Ok, I admit it. I like spoiling my dog. I like getting him brand new things to wear and new treats to try. But if you are not the type of person to enjoy dressing up your dog (or your dog despises it), you can still be festive in other ways. 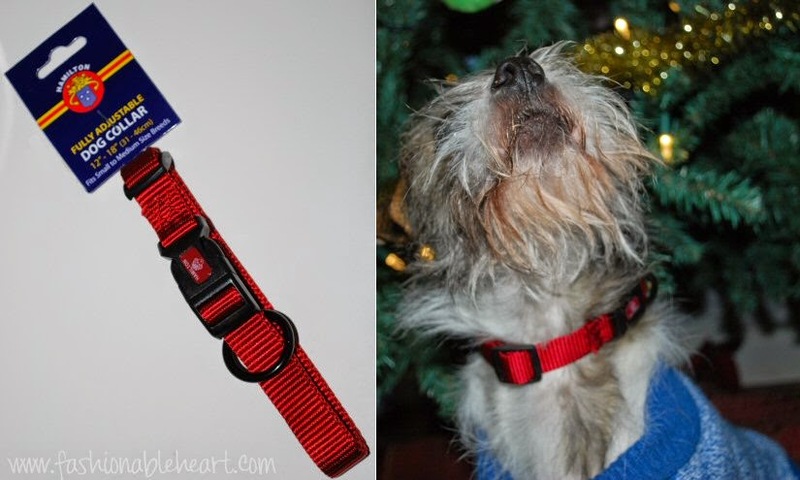 How about a bright red collar instead? It's practical and useful and works perfectly for the holiday season. Your dog will never know that you are pulling a fast one over him. Look at that little beard. Indy gets into everything and I swear it gets dirty again the instant he's had a bath and stays that way until the next one. Silly boy! The clip is very sturdy. I'm terrified of collars coming unclasped during a walk and I always check the clasps! I find it easy to adjust to size and the stitching is durable. These are the things that are important to me. My dog doesn't mind being dressed up, because it typically means he is getting to go outside on the balcony or for a walk. 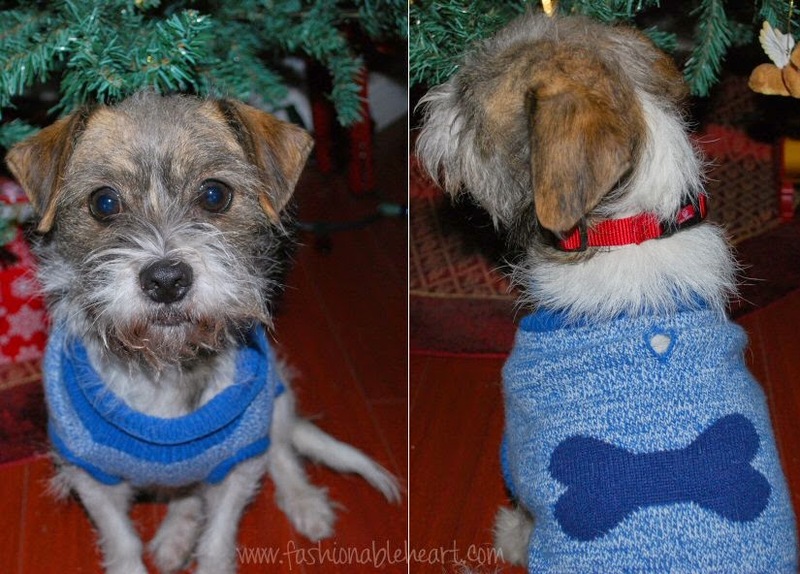 This is his current sweater that he has been wearing lately (from Target, but I couldn't find it listed on the site). It's convenient with the harness slit, if I choose to put his harness on instead. He's very susceptible to the cold and this keeps him a bit warmer on his walks right now. I need to buy a little jacket and booties soon, because this is Canada and we all know the white stuff is coming to stay pretty soon. For Christmas dinner with the family, I have my eyes on this shirt from PetSmart. It's hilarious! So there is my dapper little boy in his new bright collar who won't stop using the tree branches as backscratchers and the tree skirt as his new bed. And I wouldn't trade Indy for anything in the world! "Ok Mom, are we done? This modeling has really worn me out." 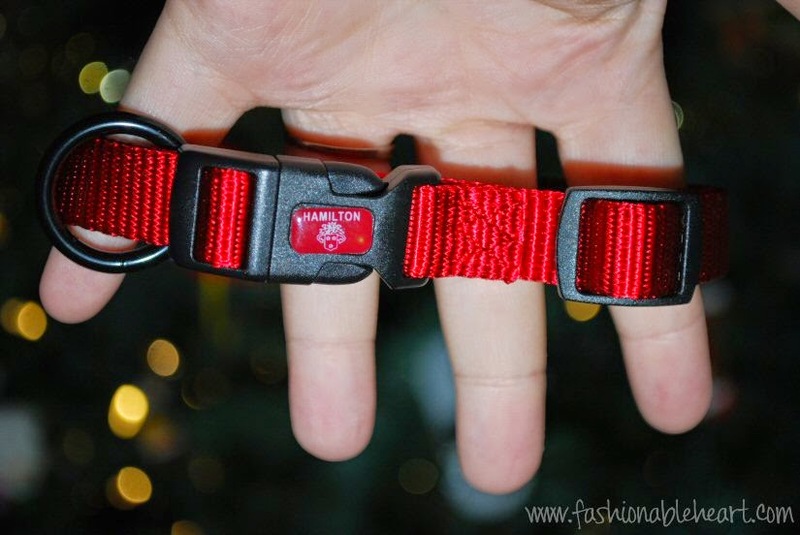 *The Hamilton collar was sent to me from MiracleCorp. All pictures and thoughts are my own. There are no affiliate links in this post. There is, however, one amazingly awesome dog who enjoys being spoiled very much. You can find out more about Hamilton products on their social media: Website, Twitter, Facebook, and Pinterest. Your little guy is soo cute! That's the main thing I miss out on with my pup, the actual clothing. He's got way too much fur (rough collie) and my husband insists he'll get too warm. Of course instead the pup has the biggest assortment of bandanas & bow ties perfect for every holiday/occasion! That said, your little guy is adorable! Oh man, poodles. They are too smart for their own good, aren't they?! I am happy to have a dog that doesn't have to be groomed, aside from brushing. I imagine that would get to be a pain after awhile! Your dog has amazing fur! I bet he loves the cold. 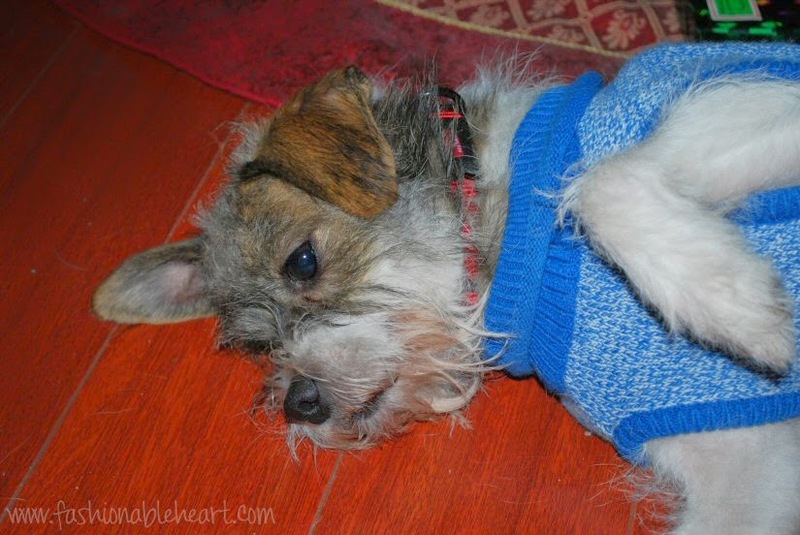 Indy is the first small dog that I have had and he's so different. None of my others would ever have enjoyed any of it. I really want to find a bowtie. I keep seeing them and they are so precious!